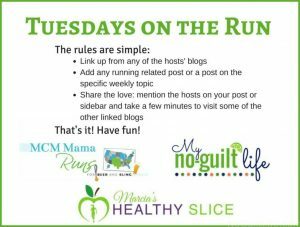 I love Tuesdays on the Run. And I love having the “cheat sheet” of the topics early so I can get these written at the weekend. But this week I’m using TOTR for my Bronx 10M recap, which I briefly touched on in the Wrap. Biofreeze had an on course activation and while I didn’t quite see the point of that (and didn’t stop at the “relief” station), I’m oh so grateful for it. My Achilles, quads and lower back are so sore from Sunday morning’s ten miler. I’m more sore than I was for my first 15K, which I didn’t expect. Although I signed up for this race a long time ago, I felt very unprepared last week. Not just training wise, which I’d made my peace with, but preparation wise. For that reason, I made a special point of getting out of the office early on Friday to hit the course strategy session. I love the idea of course strategy sessions, but they’re a personal mixed bag for me. Usually I end up psyching myself out. I went into the Lebow Half terrified of the hills because the coach called out just how many there were-even though I’d run this loop. Brooklyn I was worried about a hill that was longer than Cat Hill. Maybe they’re not the best for an already anxious runner. Coming out of it on Friday I was worried about pacing for the Bronx. I made an early decision to run with the 1:50 pacers aka 11mm. But I left the session super confused because the leaders advocated starting out at a half marathon pace and then enjoying the downhill second half for negative splits. I don’t have a half marathon pace. Well, I do, but I don’t know how to run at a set pace. Blech. Although I’m doing at least one new to me NYRR race in 2019, I think I’m going to skip the strategy sessions. What’s the new to me race? The NYC Half. By running Lebow, Brooklyn, Queens and the Bronx I get guaranteed entry to the NYC Half. Although I enjoyed cheering with the Bakline/MHRC folks and getting in my +1 volunteer credit, I had major FOMO that I wasn’t running that weekend. 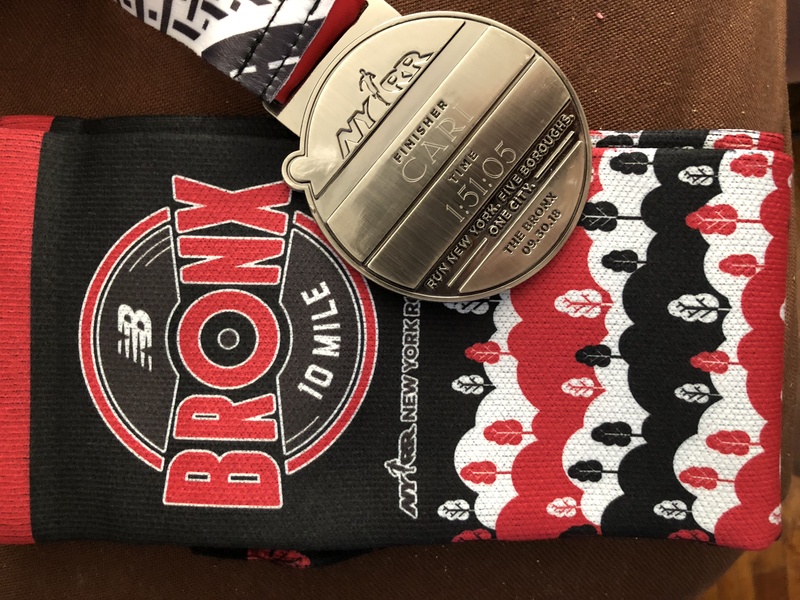 That was pretty much the only reason I was doing the Bronx, which is probably a bad reason to sign up for a race. I’m really glad I did it this year, as I actually don’t plan on repeating most of these races in 2019. Why? 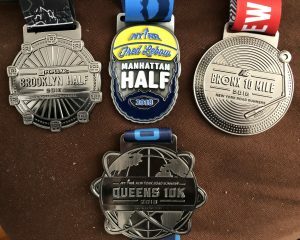 Queens is too far to go with weekend MTA issues for a 10K and it’s an expensive 10K. I’m the odd runner in that bling usually isn’t the deciding factor for me. Personally I’d take a cheaper race with ala carte shirts and bling (part of why I love Cherry Blossom’s structure). Lebow I’d do if I don’t do the SHAPE Half, and at the moment I’m leaning a spring women’s half. Race morning came early despite well intentioned plans to go to bed early on Saturday. I woke hungry, which isn’t normal for me, but I realized it was probably because I ate my avocado toast on the early side with the intention of going to bed early. So I grabbed a NutriGrain bar, which is something I know I can run on and headed off to the train. I think I’ve partially hit on what I didn’t like about Bronx, Queens and (to some extent) Brooklyn. I don’t like having to travel to the start. I’m not talking about racecations, I love those. But I like being within run/walk distance of the race start. Or even in the case of Fort Lauderdale, an easy Uber ride. I think this is mostly because I’m a creature of habit in general and so many races start just blocks away in Central Park. I built my routine around that and changes aren’t easy. Also exacerbated by the trains being a nightmare to the extent that they delayed the race start. I nibbled the NutriGrain bar on the train and made my way up to the start. I stretched and people watched before deciding to head to my corral. I think this was another part of my issue. Too much time. When I can run/walk to a race start, I know exactly how much time I need to leave. Because this was new to me and I had to worry about transit I ended up with way too much time. Better than rushing, absolutely, but not conducive to a good run for me. This was exacerbated by the warnings about the crowds and the sweeper bus. I was worried about getting swept more than I ever was about finishing last. I talked to the pacers and they had the perfect words of advice “Stick with us and you won’t get swept”. I decided to go with that despite the advice to start slower, because I didn’t trust myself to play catchup. The pace group was an interesting mix of men and women planning to run this pace for varied reasons. The only one I recognized was a woman who started Lebow with the same pace group I did. Spoiler: I almost stuck with them. I did not get swept. On top of the delayed start there were a number of remarks. Certainly more than I remember in other boroughs but Brooklyn I wasn’t listening to much of anything in the rain, and Queens I have a vague recollection of not being close to the speakers. That was also a last minute corral dash due to needing a bathroom stop. It was after 8:30 by the time we crossed the start and the first thing I noticed was the crowds. With a large field and a relatively small road, there was not a lot of room to run. I even skipped the first water station because I couldn’t get anywhere near it. I think it’s time for the Bronx to go to waves or a staggered start. Any time we dipped or could see the road rise in front of us, all I could see was a wall of people. Because we were so late in starting I could see the front runners by the time we were at ~ mile 1.5. I know that drives some folks crazy with an out and back, but I loved cheering in the lead pack as well as some other faces I knew. Speaking of cheering, I also spent most of the race near two Achilles guides and their blind charge. What fun to cheer him on and hear others doing the same. One of his guides had a sign pointing to the racer behind him that said “cheer for him, not me” which I thought was fun. I love the camaraderie of NYRR races. As I said to another runner, the kum-ba-yah was strong yesterday as I think everyone was happy to be out on a gorgeous day. I stuck with the pacers until about the 10K mark which brought us back onto the Grand Concourse after the Mosholu Parkway sojourn. It’s funny. I read a lot of complaints about the Hanes Point portion of the Cherry Blossom being unbearable but I loved it — mainly because of the blossoms. The Concourse? Not so much, although it has gorgeous architecture. I’m spoiled rotten by park running and while I don’t think I’d enjoy trail races, I don’t love purely street runs as much as I enjoy ones with better scenery. The exceptions to that are Cherry Blossom and Fort Lauderdale, which spent ~ 9 miles along the ocean and 2-3 of the rest inside a park. 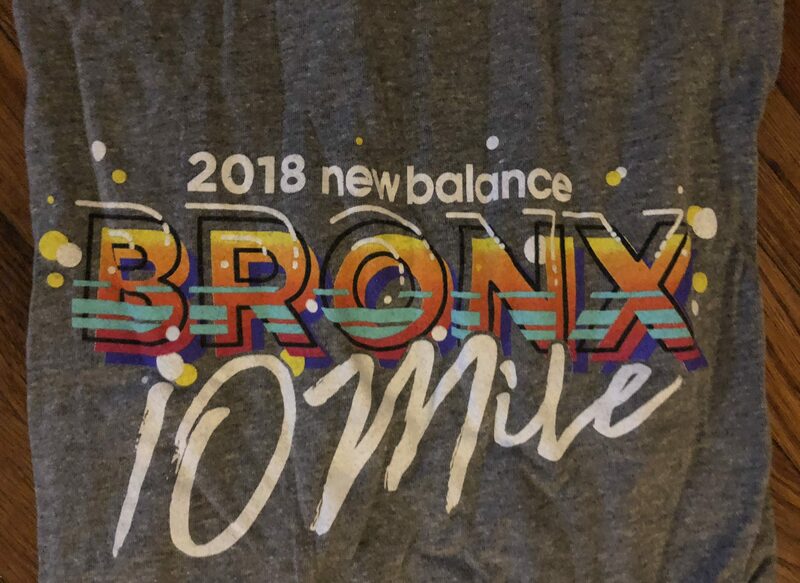 I think this is part of the reason I wish they hadn’t changed the NYC Half course, although I’m excited to run that even as a one and done. I’m really not sure what happened in mile six. I’d been consistently just below 11m miles throughout even with the crowds and the early hill at Fordham Road. I’m guessing I just got tired, although I didn’t think I was running appreciably slower and quickly rebounded for miles seven and eight. One thing I’m looking forward to on my new Garmin is the ability to see pace while running. That has never worked on the TomTom as what it displays isn’t what it spits out at the end. I know what happened in miles nine and ten: I walked the water stations because the sun was warm and I knew 1:50 wasn’t happening as I’d lost sight of the pacers. I wouldn’t say I gave up, but I was disappointed and decided if I wasn’t going to come in ahead of 1:50, I might as well listen to my body. I was motivated by sticking so close to them in the first half when it was “harder” and thought I might be able to sneak ahead. Nope. the course isn’t as primed for negative splits as they said in the strategy session. Or at least not at my level. You hit the exact same hill (underpass where the road dips and rises fairly significantly) at 2/7. Oddly, I didn’t feel the hill at mile five which looks sharper. The downhill finish is nice as you cruise down 161st St. to Yankee Stadium, but it’s not significant in terms of miles to make an impact on race time. I don’t think I went out too fast, as evidenced by maintaining a fairly steady pace for seven of the first eight miles. If anything I should have spend up, which I guess I kind of did before mile nine. This is exactly the same issue I had with Queens. Fast. Flat. Nonsense. I was coming down with something that day and it was warm, but it wasn’t as flat as touted and I think that’s part of why I struggled. I believed the race’s hype whereas if I prepared for a less flat course I might have been better prepared. I have a strong feeling this is ability related. And the words of advice in the strategy session were right, this was way better than anything you see in Central Park. So resolution ahead of 2019 is use those hills in my “home course” to my advantage. Part of why I’m glad I signed up for Grete’s Great Gallop on Saturday. Get back on the horse and all that nonsense. I was undertrained. This is a given and I will be better prepared for Ted Corbitt in December. I don’t know what my race paces are. So it wasn’t one thing, it was a lot of little things added up. It’s not :05 I’m mad about, or even 1:05, but rather how well I stuck with the pacers for 10K only to lose it in the end when the back half of the course was supposed to be easier. I know a six minute PR is amazing especially when I’m past the newbie gains phase of running, and it’s not even that 1:51:05 is bad. I just think it overall wasn’t a good race day for me and wonder what could have been if any of the factors had been different. I think I’d also been hoping for a better time since Cherry Blossom had a ton of photos, whereas I didn’t even take my camera out until the last .3 mile coming down to Yankee Stadium. Sure sign I’m not enjoying things if I’m not taking pictures. The socks were actually a giveaway from last week’s shakeout. Their texture is weird, so I’m not sure I’ll ever wear them but they photograph well. I decided to get the medal engraved despite feeling meh about the run. I had Brooklyn and Lebow engraved, didn’t bother with Queens. I think that I didn’t find a 10K performance I wasn’t thrilled with worth waiting on line. I’m glad I had the engraving done yesterday though as I went to pick up my shirt for Grete’s Great Gallop at lunch and the lines were insane. With hind sight of 24 hours and some conversations today, I’m not as frustrated as I was. I’m not unhappy with my performance as a whole. I did maintain a 11mm pace. I know what I need to improve on my end. I recognize that some factors were beyond my control. Congrats on the PR. Even if you didn’t meet your expectations and even if it didn’t feel good, it’s still a PR. You did a good job in this post examining what went right and what went wrong. You’ll figure it out. Great job! Yep. That’s exactly where I feel it landed. It wasn’t perfect and didn’t meet expectations, but it was still a solid showing. Writing it out helped me think through what the issues were. Thank you! I’m glad 24 hours since the race have helped you feel better about it . Maintaining a nice even pace for so long is amazing. I feel you on the course strategy sessions. In general I think they’re good for helping me get my head around the course but typically others’ ideas of hills and negative-splitable terrain are very different from mine. Congrats on a big PR! Never, ever believe an RD that says a course is flat. They always lie. Well, almost always. I am not one of those “run by feel” runners. I get why it’s important, but let’s face it, most of the time my body still feels like running really slowly. Every once in a blue moon everything clicks and the miles just tick by . . . not usually the case. Of course out in suburbia it’s a very rare race that you can just walk to the start. 🙂 Many of my racecations involve Mr. Judy driving me to a start and often there is a lot of swearing involved — not always conducive to feeling relaxed on race morning. 🙂 The last couple we’ve been close enough so we could just walk, and that’s much more fun (plus using my own bathroom, or the room’s bathroom, anyway). I don’t think we’re ever totally happy with a race, but a 6 minute PR is totally awesome. Oh, and I am not so much motivated by bling, either. I appreciate nice bling as much as the next person but I am much more motivated by a nice course. Also completely spoiled by Manhattan races. 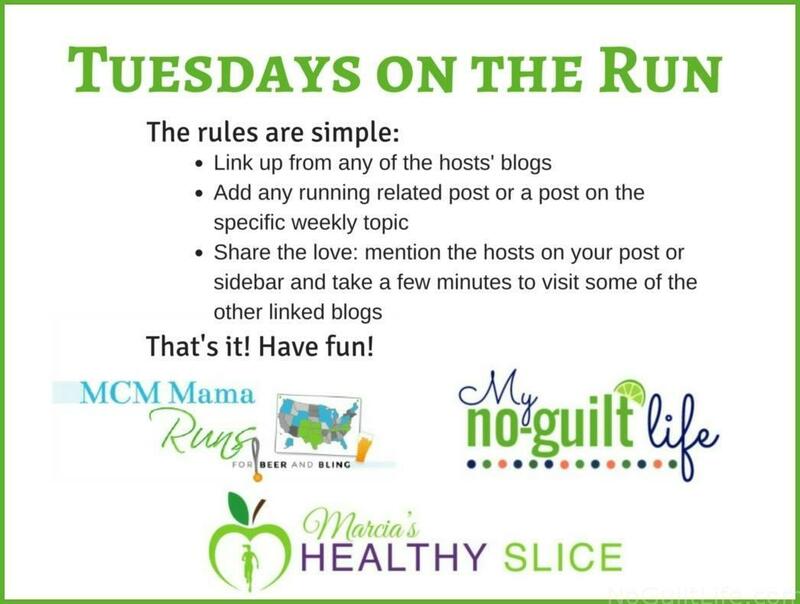 I can run/walk to most. Or if I opt to take a subway, it’s a short hop. Absolutely agree with you re: course > medal. Well glad you are getting into the NYC Half next year. That was my FAVORITE race of all times. I worried about logistics but I paid for the hotel/transportation package and they picked me up right outside the Hilton! Tom Pannik is the CEO of guiding eyes for the blind ( a guide dog service) and I recently discovered that he himself is blind. He’s been doing some of the smaller NYRR races with the guide dogs (Labradors) and I know they were training multiple dogs to run longer distances (kind of like a relay with the dogs so one dog didn’t have to do the entire distance). Anyway I wonder if the guy running with the guide was from his organization (or maybe it was him)! If you end up in town/at the Hilton again, let me know. That’s literally a block from my office. I haven’t yet thought about the NYC Half logistics, but thinking it won’t be too much worse than B rooklyn Half. Have you done that one? The runner I was with was with Achilles, but I’m sure he may work with Guiding Eyes too. You know you’re too hard on yourself. PRs are hard to come by and you had one. That’s why I love my old Garmin. I can see 4 screens at once. So I see my pace and time elapsed. But I am trying to enjoy my races more and not worry about pace. I’d be lying if I was content with any of my races. I always think I can do better. I loved also that Saturday I could walk to the race. If I do NYC half, I will stay in a hotel in Brooklyn. I think a quest for improvement is natural. 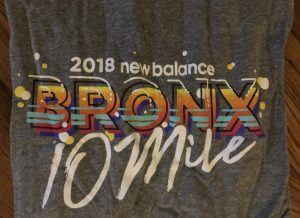 Did you stay in Brooklyn for the Brooklyn Half? Same hotel location would probably work. I did. Holiday inn near the start. Got to save up my points again. I’m glad you are feeling better about how you did now that you can think about the details. Almost all the races I do involve some race day logistics, mostly to get there early enough to find parking without stressing. I am one of those who dread Hains Point, but I am trying to appreciate it from the perspective of a tourist — it really is pretty! I was so worried about logistics for Cherry Blossom because the Metro wouldn’t be running that I stayed in DC, which I almost never do. I got a good rate at the Hilton midway between Dupont Circle and the White House so it worked out well. I’ve been in town when my sister in law ran Marine Corps, and we managed that as a spectator but I think some of the others would definitely be a challenge. I’m not only a tourist who had cherry blossoms on a long time bucket list, but I used to live in Japan so it’s a double love. 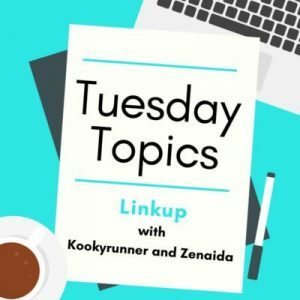 Absolutely re: learning, and part of why I love my posts – to remind myself of little things. I just reread my BK Half recap and apparently I took a gel there. I don’t remember if I did for Cherry Blossoms. I did in FLL but it and water made me queasy. So I think I need to sort new in-race fueling plan. Congrats on your new PR! 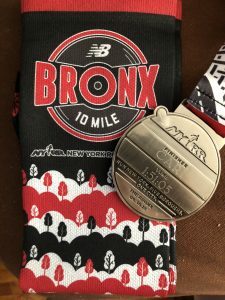 I’ve done the Bronx 10 miler twice and while I like it, I don’t think I’ll do it again because of the travel to get there (I live in CT). I agree with you – there’s something different between having to travel to a race by car/train vs a racecation where you can walk or quickly uber to the start! Congrats on the 6 minute PR. That is amazing! I am with you on the pre-race strategy sessions. 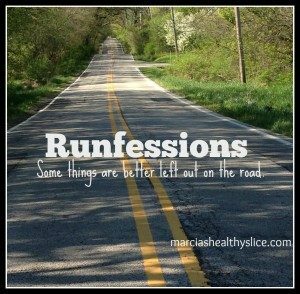 I once drove a marathon course (with 4 of my friends) the night before I ran it. It totally psyched me out. I couldn’t believe how long it seemed! I have never done that again since. I once wrote a post about why a race had been disappointing for me and I found that writing really helped me to process it. When I finished the race, I felt down but couldn’t quite figure it out until I started analysing everything which is what you have managed to do in this post. I totally hear you. But I am so pleased that you showed up and you got a brilliant PR even if you felt a but unprepared. Just goes to show how much more you have in you. I need to up my pace if I am to keep up with you now, LOL! Yes! Writing has always been an outlet for me. It helps me translate my brain.